Kumu Hula Niuli’i Heine is a Native Hawaiian, graduate ofThe Kamehameha Schools, and received her Business Management Degree at Chaminade University. She lives on Hawaiian Home Lands in Waimanalo. 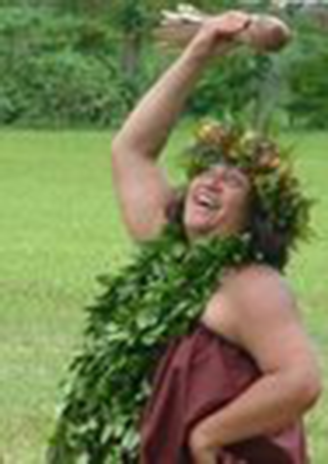 Niuli’i has danced hula for over 30 years for Na Pua Lei O Likolehua, recently graduated in 2009 as a Kumu Hula (hula teacher) and is now teaching in the halau. She is actively involved in outrigger canoe paddling with over 30 years of experience as a paddler and coach. Niuli’i is an Assistant Vice President at First Hawaiian Bank.